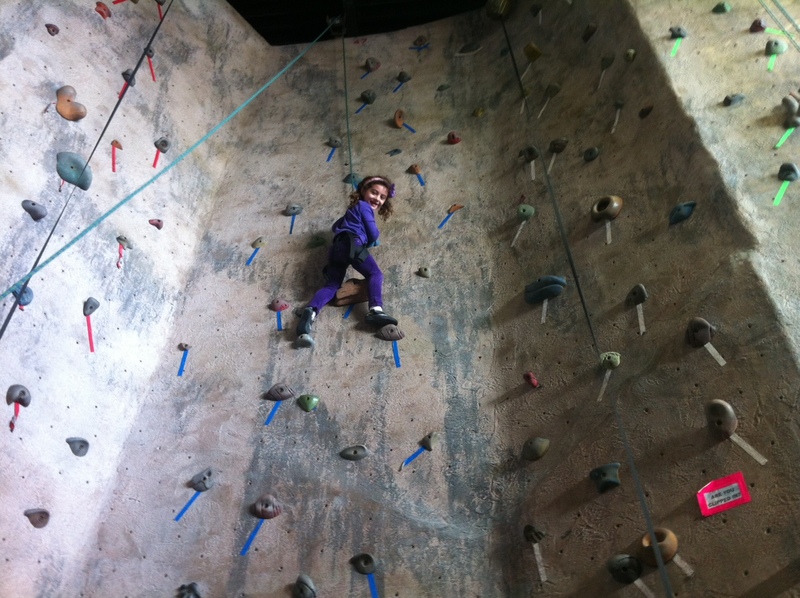 Rock climbing–it’s for kids too. It was as if she’d been rock climbing her whole life. That said, she is only five. Today, my daughter kept up with the best adult climbers as she adeptly made her way up the 30-foot climbing wall at Rock Spot Climbing in Lincoln over half a dozen times. Using top roped climbing, she was harnessed into a belay device to protect against a sudden fall and create a smooth, slow (and apparently fun) ride down. When my husband asked her before bed if she’d like to go back, she said yes, she’d love to go back tomorrow. My husband is a manager there! Love it! So glad I found your blog!